The Institute for Supply Management, a trade group of purchasing managers, said its manufacturing index jumped last month to 61.3 from 58.1 in July. Anything over 50 signals growth, and U.S. manufacturing is on a 24-month winning streak. Sixteen of 18 manufacturing industries expanded in August, led by makers of electronic equipment, clothing, textiles and paper products. New orders, production and inventories grew faster in August, and factories stepped up hiring. 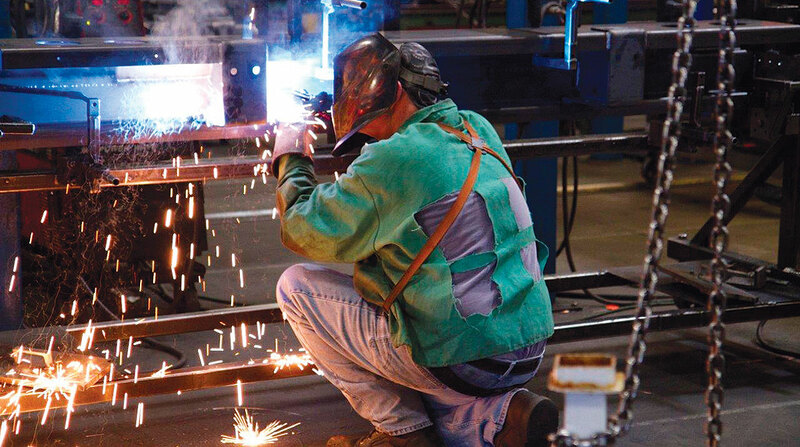 Manufacturers are coping with labor shortages and supply disruptions connected to ongoing trade disputes with China, Canada, Mexico and Europe. But the overall U.S. economy expanded in the second quarter at a 4.1% annual pace, the fastest since 2014.